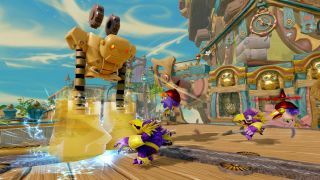 Last year's Skylanders Swap Force was the best in the series, fixing many longstanding nagging issues and improving the game with a brand new graphics engine. 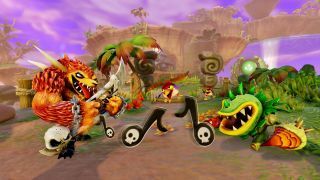 This year's Skylanders is called Skylanders Trap Team, and it's doing something that hasn't been done before in the series - instead of putting characters INTO the game, you are bringing them OUT. 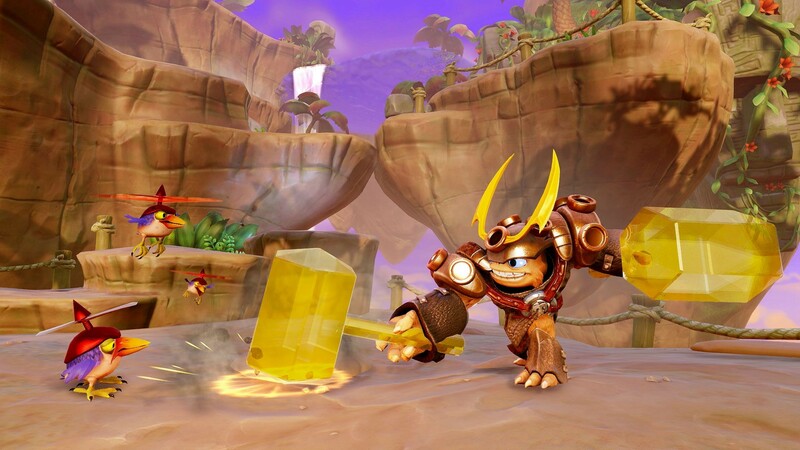 If you've been following the story of Skylanders, you'll find the game's first villain has returned - Kaos. 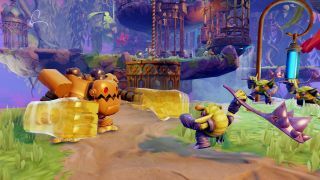 He's used a material called traptanium to help break out a ton of really bad dudes from prison and scatter them all across the land. It's your job to round them up and trap them once again. 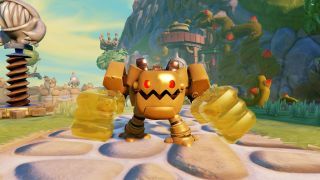 And really, that's the game's hook - find a boss, trap him in a crystal of the matching element, and then use him or her anytime you want to help defeat enemies. Of course it wouldn't be a Skylanders game without a new type of figure, these are called Trapmasters and they are special in that they earn bonuses for capturing the villains, having caught them a long long time ago. When you defeat a boss you are prompted to put a crystal in the portal and then utilizing some slick audio balancing and lighting effects you'll "see and hear" the villain sucked into your trap. 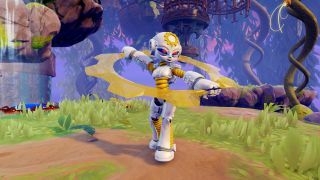 Whatever villain is in your portal can be swapped to instantly, switching places with your Skylander. 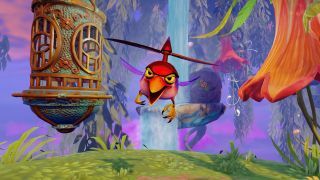 In co-op, either player can switch to the villain on the fly. 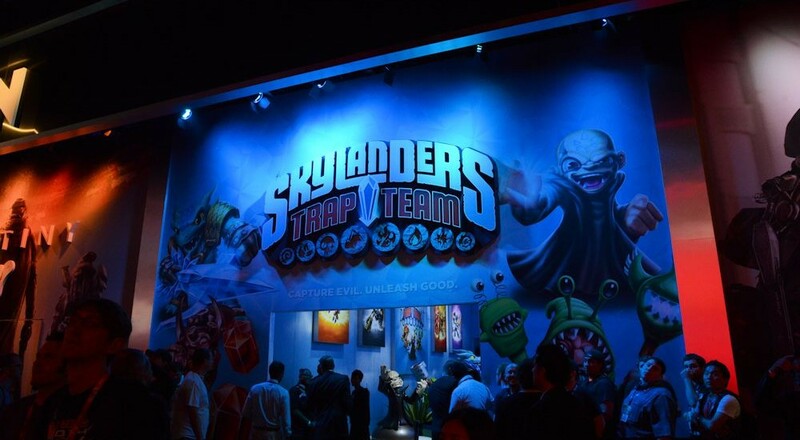 Of course this does mean a new portal is required for Skylanders Trap Team. It's a pretty cool novelty that adds another level of the "gotta catch em all" to the game. 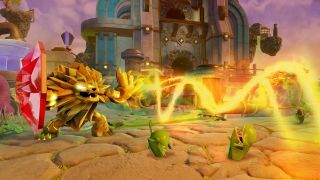 The Skylander HQ will house a "Villain Vault" where you can switch enemies in and out of crystals. 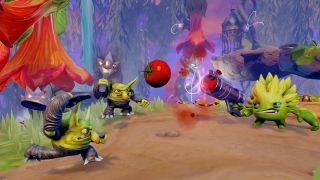 One really slick feature is the ability to bring villains to friend's vaults, adding them to their collection and making them playable in their game. 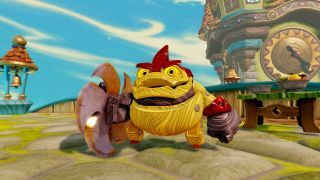 So while that's the hook for Skylanders Trap Team the two most impressive things I saw didn't even touch those features. 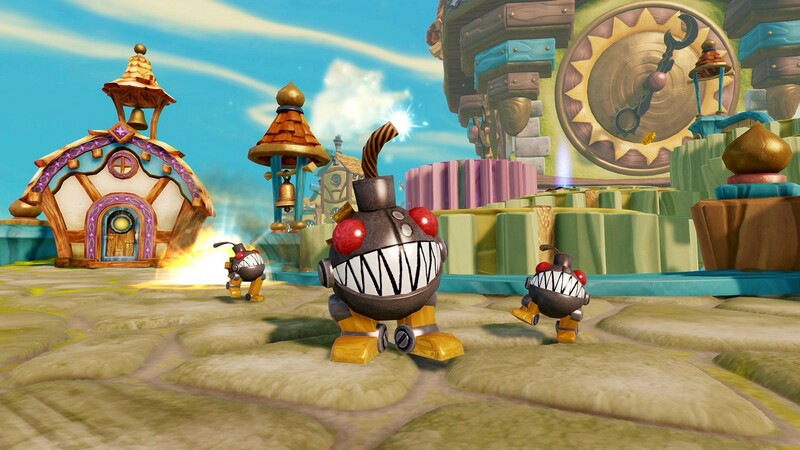 The first was some of the game's new characters - which are by far some of the most inventive we've seen. There's Food Fight which is a little vegetable plant that shoots out tomatoes that grow anywhere in the world. 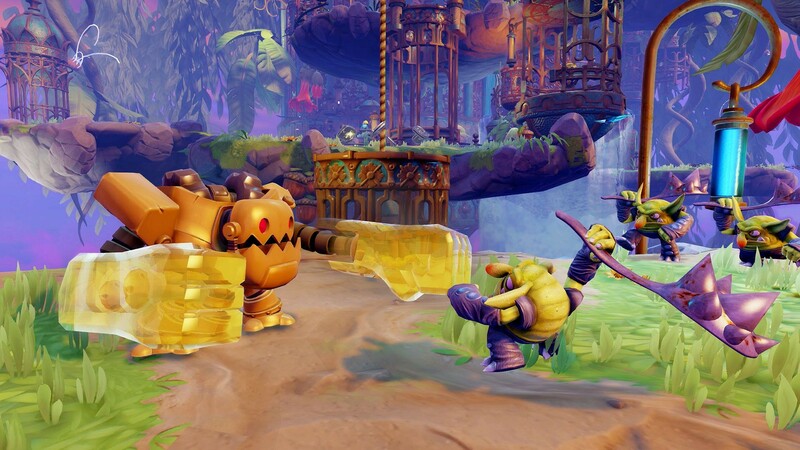 Pick them up and you'll power up your next shot. There's an undead Werewolf that wields a guitar/sword and can shred wicked tunes and do 80s inspired power slides. There's a giant hippo like pinata that throws up candy on enemies. And there's Broccoli Guy. Yes, that's his name, Broccoli Guy. 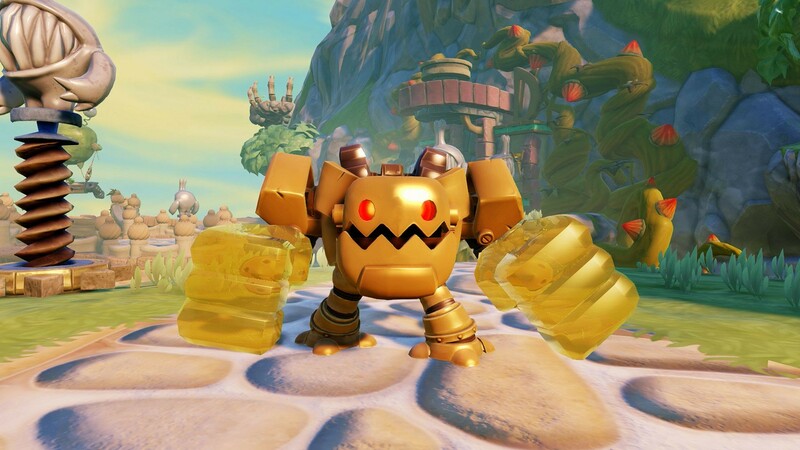 He's awesome. And these are just some of the 50 characters Skylanders players will get to collect...er...buy. 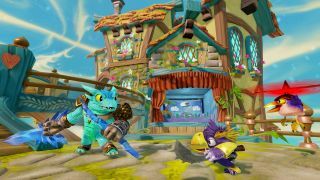 The second most impressive thing is just how great the game is doing graphically. 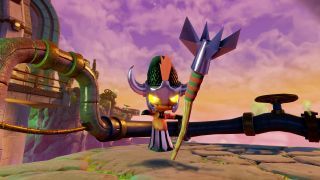 While the last game saw a brand new engine, the new engine makes the game really come into its style. 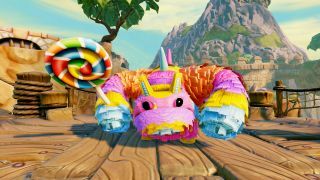 Texture detail is rich, colorful, and cartoonishly realistic. The lighting effects have gotten a nice boost too and the character models look great. 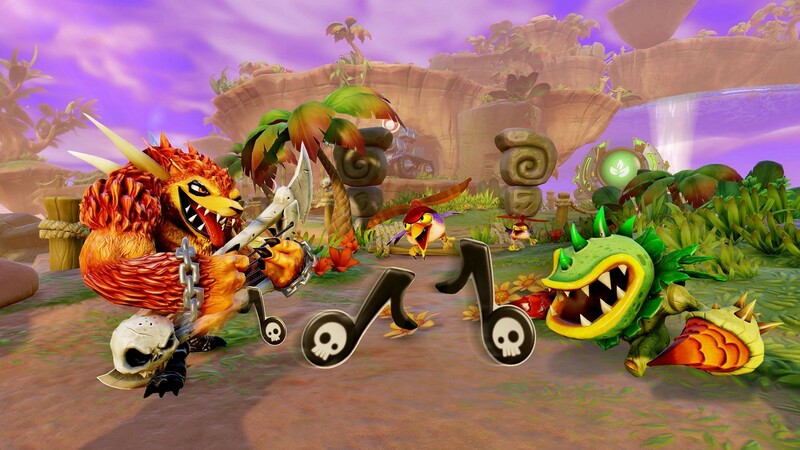 ALL Skylanders from every game are playable in Trap Team and everyone will get the upgraded model treatment. 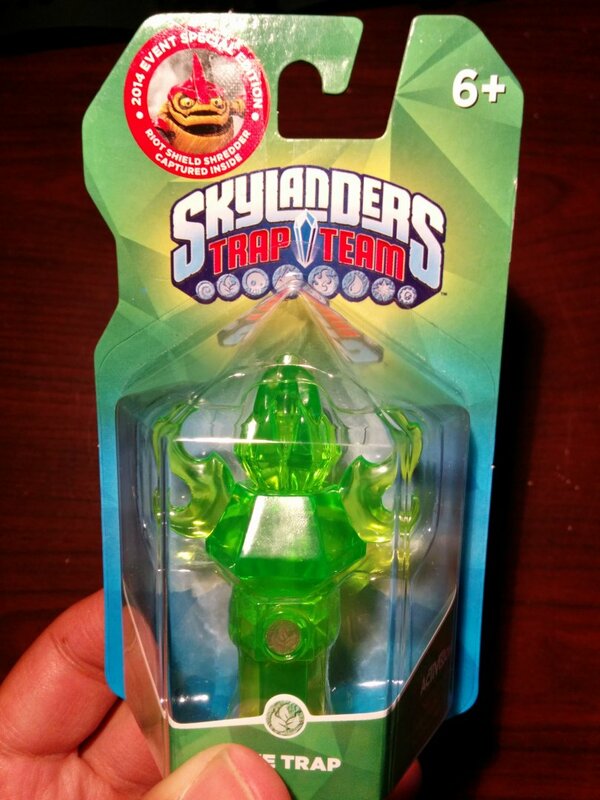 There's a few other additions coming to Skylanders Trap Team. 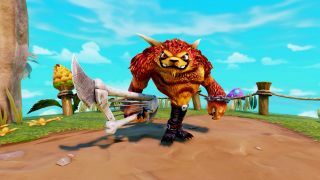 We saw some new minigames, one which is completely meta that involves collecting cards and playing a Magic The Gathering style card game against the computer. 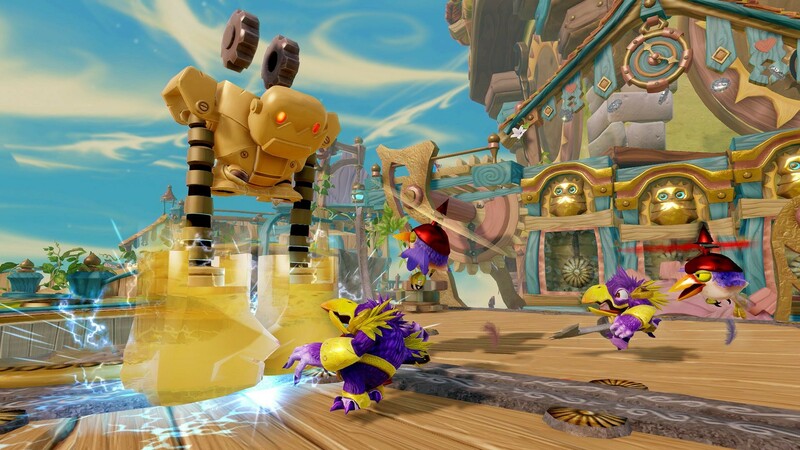 There's some new puzzle games too and the platforming elements now involve jump attacks. 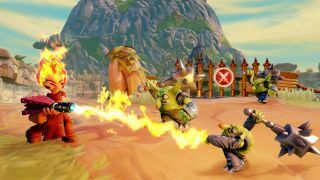 With 50 characters and 40 villains, plus all of the goods we mentioned above, Trap Team looks to be the biggest Skylanders game to date. It'll feature the same great two player local co-op the games always have with the team dedicated to making the whole experience socially friendly. 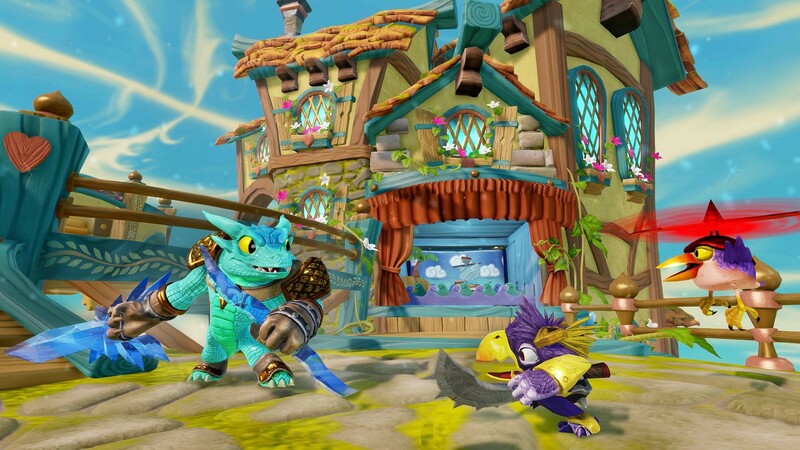 Skylanders Trap Team will be out on Xbox 360, Xbox One, PlayStation 3, PlayStation 4, Wii U, and 3DS this October. 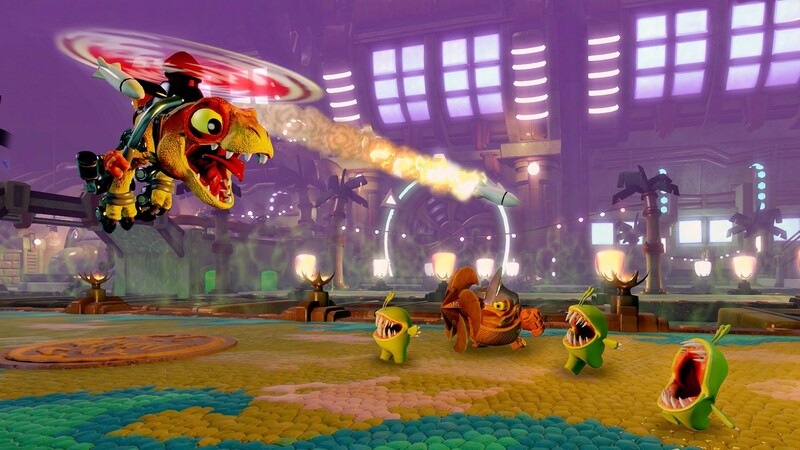 The 3DS version will be its own experience.